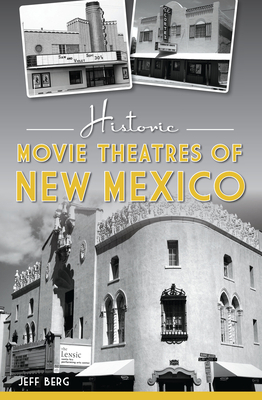 New Mexico's theatrical ties span over one hundred years. The Fountain Theatre, once a Civil War hospital and headquarters, produced plays, opera and vaudeville performances until 1929, when the venue started airing talkies. Today, it holds the title of oldest operating theatre in New Mexico. Albuquerque drive-in attendees enjoyed personal screens for each car at the Circle Autoscope. And Rio Grande Theater operated for over seventy years before showing its final screening of U.S. Marshals in 1998. Author Jeff Berg details the Land of Enchantment's iconic movie houses.